Catit Play 'n Scratch provides cats with a safe place for exercise and scratching. 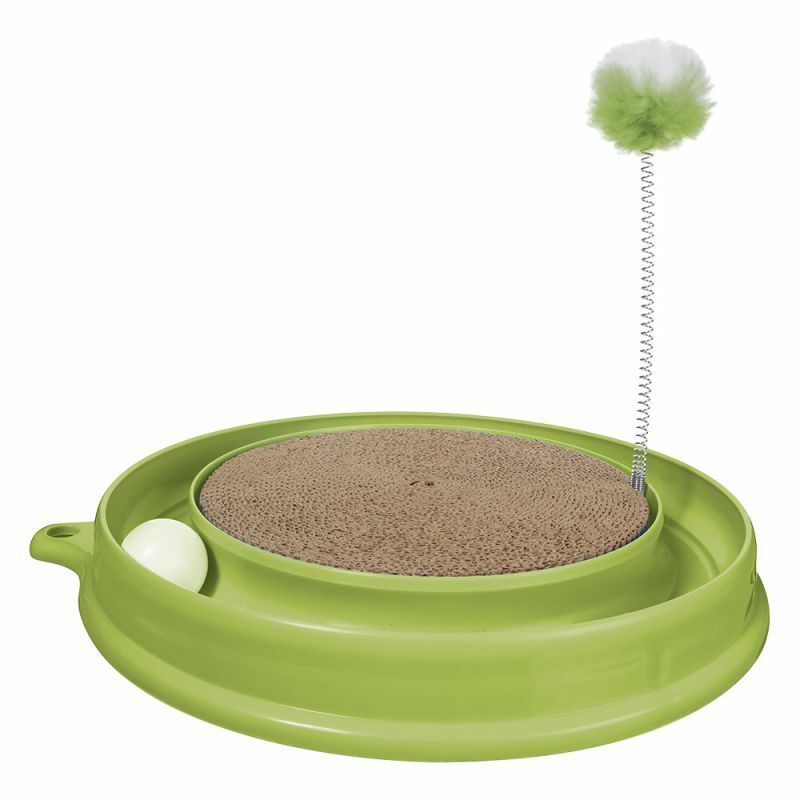 Play 'n Scratch is a scratcher-and-toy-in-one consisting of a durable plastic platform with a scratch pad located at the centre and a tracking ball that rolls around the perimeter. There's also a spring toy with a fluffy pom-pom for additional fun and enticement. 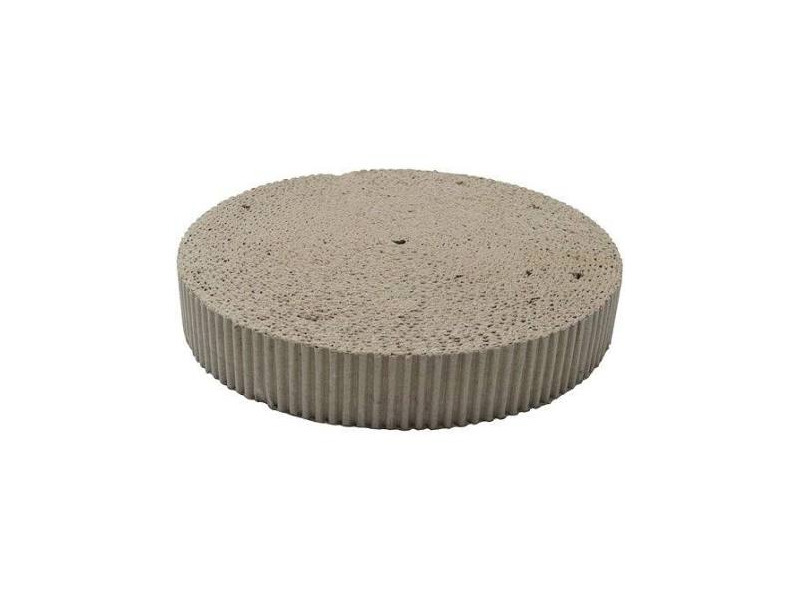 The scratch pad is made of corrugated cardboard, which provides felines with a safe surface to put their claws into. When they're finished scratching, they can swat at the pom-pom or chase the ball around the track. By providing a satisfying outlet for cats to scratch, Play 'n Scratch is also an effective and practical way to divert attention from valuable household furniture and fixtures, which are often targets of scratching. It's a cost-efficient way to preserve household assets. Besides having a good time your cat will enjoy many excellent health benefits as a result of playing with this fun and stimulating toy. There are currently no questions for Catit Play N Scratch - be the first to ask one!